Welcome to Myer’s Deli, we are locally owned and operated and have been since ’58. We are a place that feels good when you walk in the door. A place that you can expect will have a roast going in the oven, a place where the hand-cut rye is fresh, where the meat is piled high, the dills are crispy, the soda pop and beer is cold and bubbly, and those chocolate chip cookies are chewy. A place you can count on. 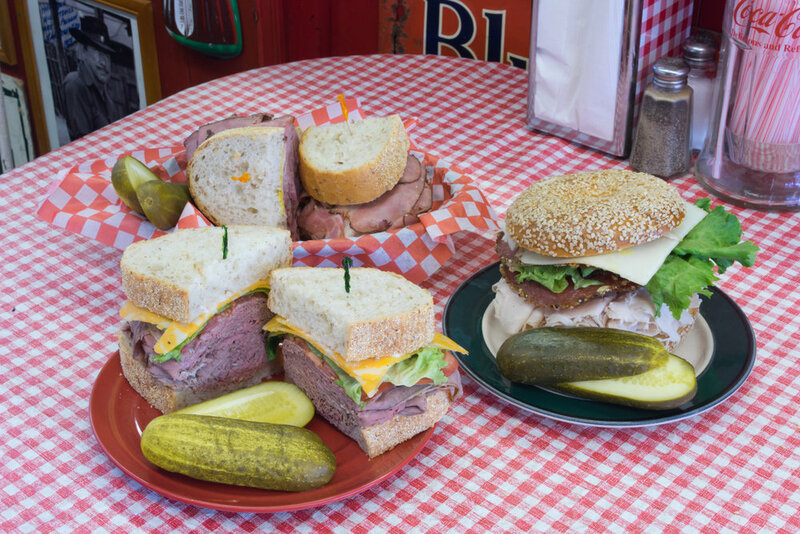 You can expect fresh local breads, and baking, Montréal bagels, homemade soups and salads, authentic Montréal smoked meat, corned beef, in house made turkey, roast beef, beef brisket, chicken, tuna and egg salad, smoked ham and local cured salamis. A place that can be just for a quick bite but, or a place that you can expect dynamite catering for any size of event. We wanted to create a deli that no one has ever been to. A place where there is a good chance that we know your name, your sandwich order or we have bumped into you at the lake, a hockey game, the splash pad, or the grocery store. Somewhere that is comfortable, familiar, fun and has great food. Somewhere that you want to be. 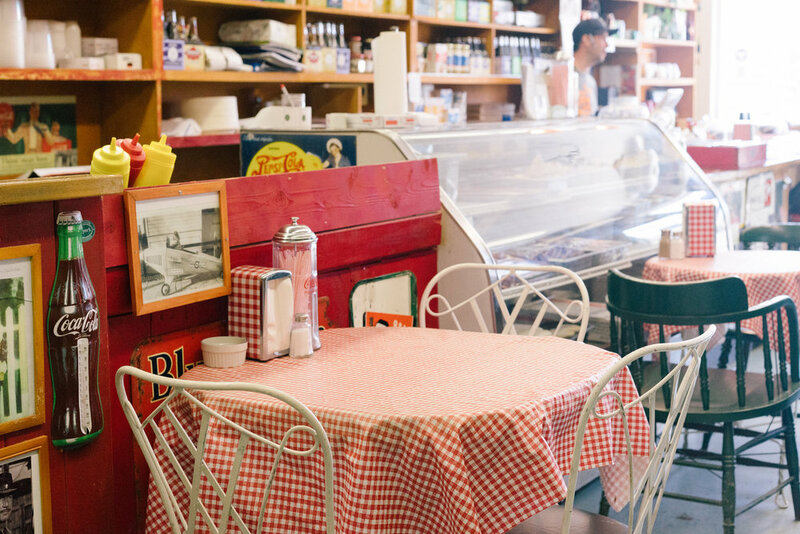 We are Myer’s Deli – stop by and see us. If you love Myer’s Sandwiches, all of our meats are available for take home for $3.29/100g. It’s the weekend! You pick the special that works for you! Yes! We carry Montréal St-Viateur Bagels! We cater all size of events with our world famous sandwiches, homemade soups, salads, cookies, pickles and soda pop. Looking for something that’s a bit different? Just ask we are happy to put to together a custom menu that will meet all your catering needs.